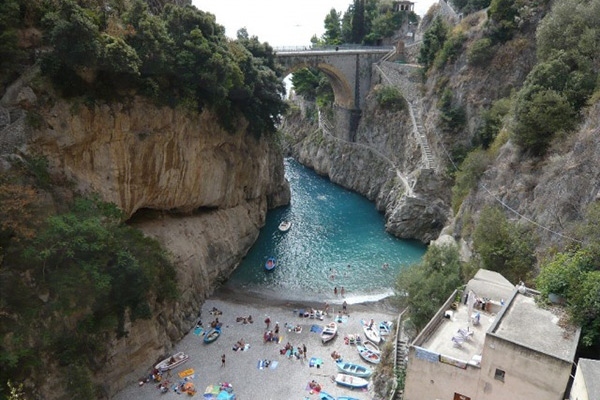 Do you desire to visit Furore, in Italy, with its spectacular Fjord in the middle of the Amalfi Coast? Stay at La Locanda del Fiordo! During your holiday in wonderful Italy, stay at Locanda del Fiordo hotel, the best in Furore, to discover the enchanting tours and excursions to the most beautiful towns of the Amalfi Coast and its surroundings. 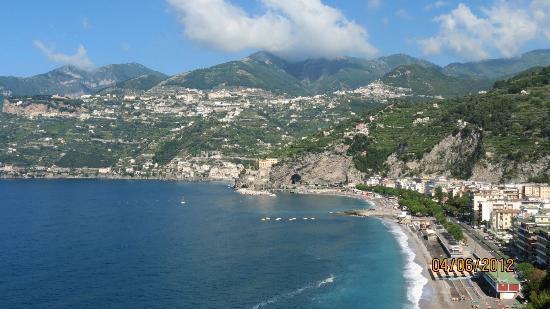 The Amalfi Coast stretches along the southern side of the Sorrentine Peninsula. 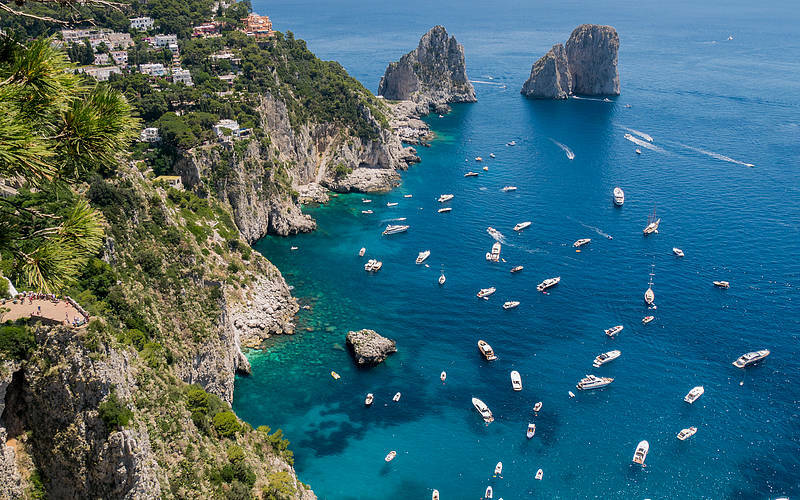 It constitutes one of the fascinating locations of Campania and it is considered the most beautiful coastline of Europe, thanks to its road, full of curves that follow the natural profile of the coast. 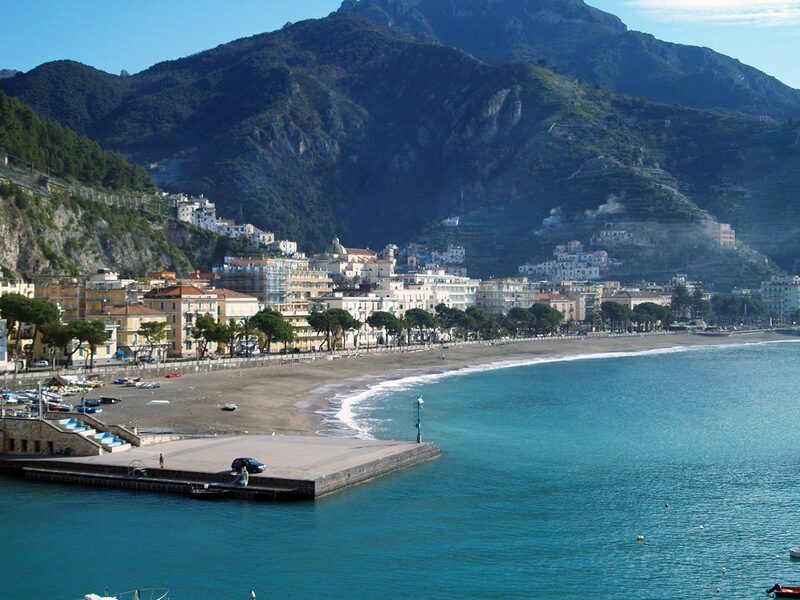 The charm of the Amalfi Coast can be enjoyed in all seasons. 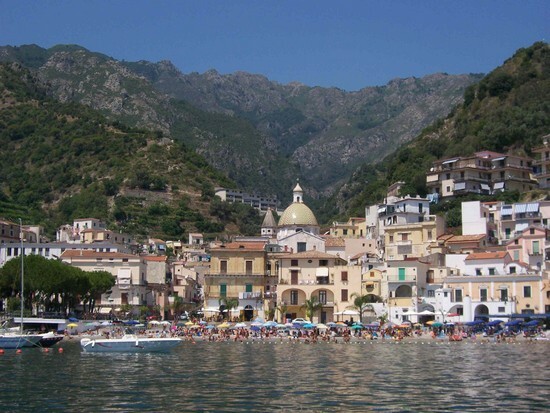 After the pleasant and relaxing beach activities in the Fjord of Furore and the excursions in the surrounding area, tourists can taste the local specialties in our great fresh seafood restaurant La Locanda del Fiordo, the best on the Amalfi Coast. 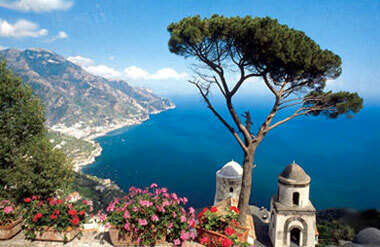 Find out the several and confortable service of our rooms sea-view on the wonderful cliffs of the Amalfi Coast. You’ll sleep with the breeze of the sea and wake up surrounded by the notes of the sunrise. In the morning you’ll have your breakfast among the flavor of the lemon groves. Taste the best Mediterranean cuisine at our restaurant, at lunch and at dinner, surrounded by the extraordinary sunset and the magic moon light. Find out our Special offers, last minutes and best deal! 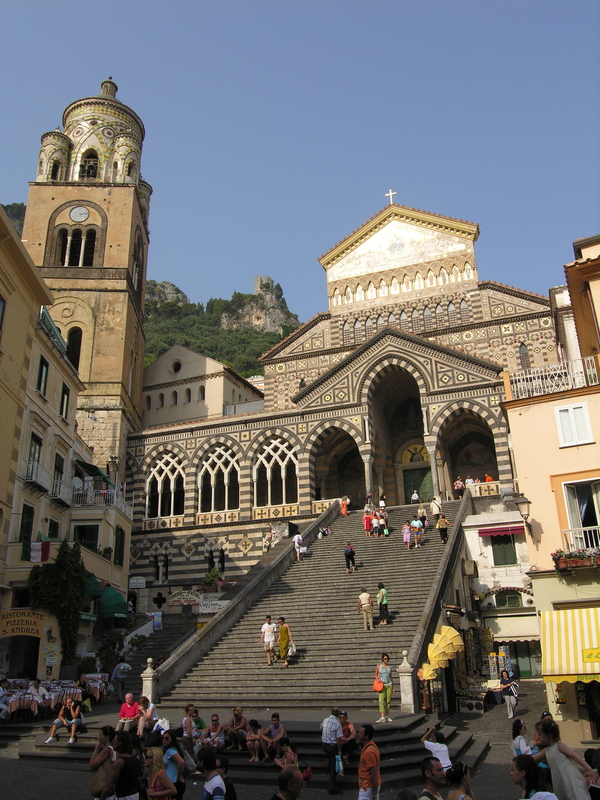 Coming from the Sorrento Peninsula, the first town of the Amalfi Coast that you come is Positano with its pastel-colored houses clinging to the rock that create a unique setting. 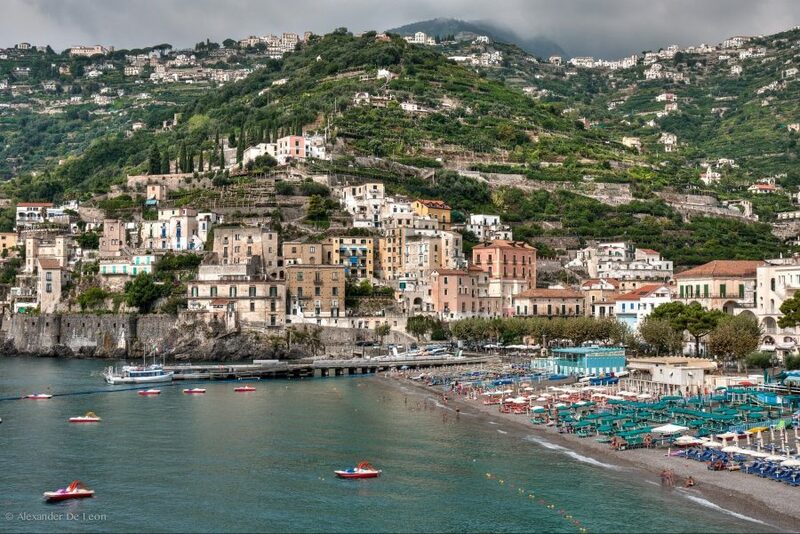 Further down the road, we reach the delightful and romantic town of Praiano. 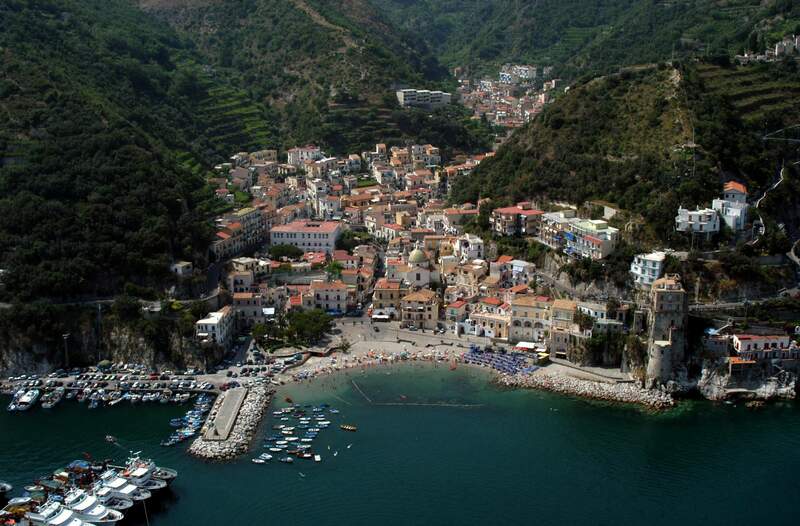 Furore surprise you with its charming Fjord with the ancient village of fishermen. Every year it is the background of the Mediterranean Championship of Diving from Great Heights. Here you can stop at our Locanda del Fiordo, Hotel, Restaurant, Snack Bar with private parking and free Wi-Fi. Nearby you can visit the Cave of the Emerald at the medieval village of Concadei Marini, known for the famous sweet puff Santa Rosa. The town of Maiori, with its wide promenade. Amalfi is the best known of the resorts on the coast, from which it takes its name, and it keeps, in its ancient buildings, traces and memories of the wonderful history of the Maritime Republic, whilst Ravello can boast the most spectacular landscapes and the ancient treasures of the medieval Cathedral and of Villa Rufolo. Cetara, a small village of fishermen known for its canned tuna and anchovies in oil, and finally Vietri sul Mare, known worldwide for its artistic hand-painted ceramics. 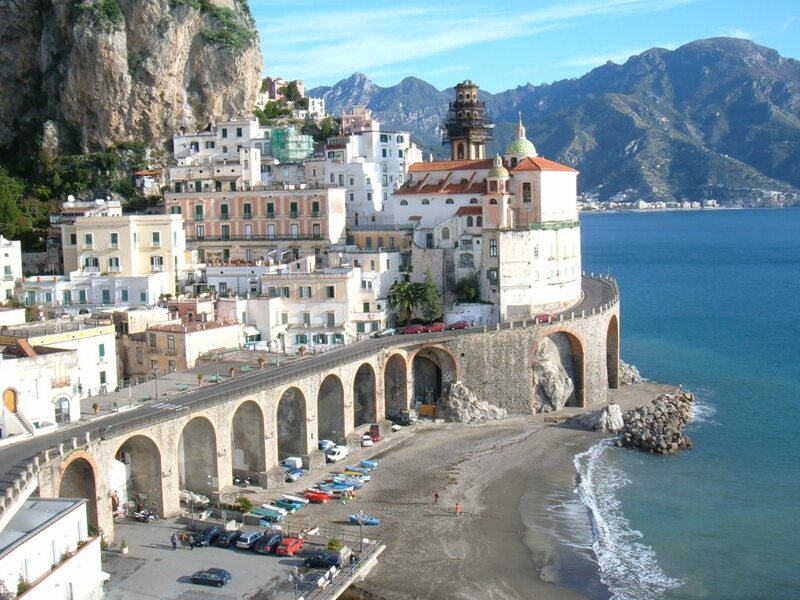 Experience all the charm of the Amalfi Coast from Furore with our magical tours and excursions organized for you! Visit the most enchanting locations in Italy! 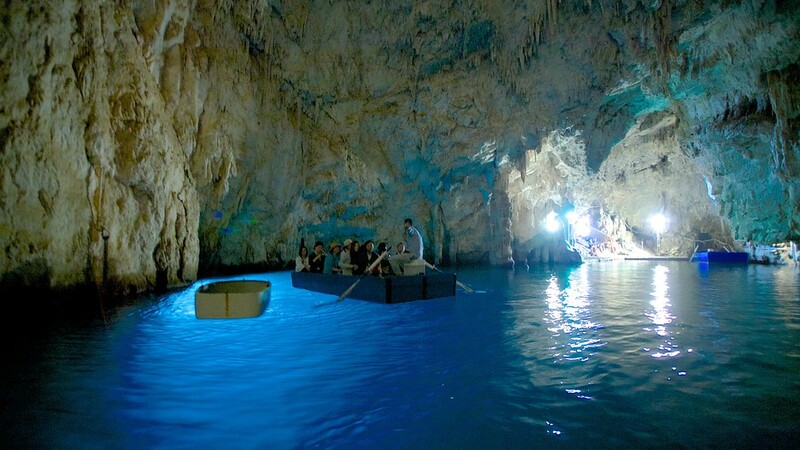 • Mini cruise the blue Grotto of Capri, the Green Cave, crossed of the sea stacks for the kiss of lovers, the tour around the Isle of Capri with a stop of three hours in Capri and return in the evening to Furore. The price is 50 euro per person, drinks included, to be paid directly by boat. A maximum of 8 people aboard, lasted 9 hours. We also organize boat trips form Furore Fjord with fishing tourism: the fishermen will teach you to fish and after, how to cook the fishes, with lunch on the boat, or you can choose shorter or custom trips. 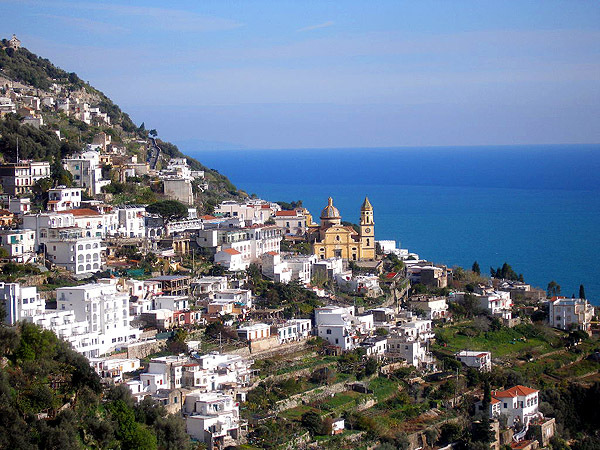 Find out the ancient paths on the Amalfi Coast, from Furore to Praiano, the world-famous Path of the Gods from Positano to Agerola. Several years ago those were the ways that connected the town on the coast to the mountain villages. The footpaths were the commercial routes from the Middle Age and today often they are the unique way to reach some location. It is a wonderful opportunity to know the real beauty of this land and its traditions. The paths are full-immersed in the pure nature of the Mediterranean vegetation. You could meet shepherds and farmers in their organic gardens, ancient ruins of monasteries, characteristic caves. Contact us! Our staff is always available to offer you a service suited to your needs.